I've read the most recent resolution several times- Afrin isn't mentioned at all. As reported previously the US wants Turkey to suspend it’s operation in Syria. I find it extremely telling that the US HAS NEVER, NOR WILL IT EVER, tell Israel to restrain their operations in Syria.. but will tell an alleged ally? Who is the real ally? Would the US and France be looking to use the recent UN resolution against Turkey? Clearly the US and France are playing a public manipulation/relations game via the media... that much is very apparent. I do believe the US is looking to legitimize it's occupation of Syria. "Paris: French President Emmanuel Macron told his Turkish counterpart Recep Tayyip Erdogan on Monday that a proposed UN ceasefire for Syria must be applied across the country, including in Afrin where Turkey is waging an offensive against a Kurdish militia." "Don't fear the fall of Bashar Assad. Syria will not fall into the hands of the Muslim Brotherhood," exile Farid Ghadry told Ynet Monday in a reassuring interview in the US.- Israel should not fear the prospect of Bashar Assad's downfall, as the Syrian people are not interested in war with Israel, a leading Syrian dissident says. 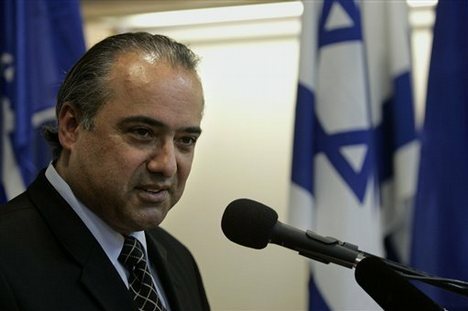 Farid was all for Israel- Israel has been destabilizing Syria from day 1. The US and France had nothing to say then and still nothing to say now. Could the difference in US and France’s stance be explained by the fact that the US is supporting Kurdish terrorists in their remake the region plan? Israel 2.0 and all? It’s quite clear to me there is quiet cooperation ongoing between Turkey and Syria regarding the Afrin operation. With both parties set to gain from ridding the Afrin region of the US backed thugs..
And isn’t it odd that the US and France both claim the recent Syrian resolution is the reason for their demand? When there is in fact nothing in that resolution that even mentions Afrin! Turkey forcefully rejected on Wednesday Western calls to suspend its offensive in northwest Syria, saying the United States misunderstood the extent of a U.N. ceasefire resolution and accusing France of giving “false information” on the issue. Ankara has said the United Nations resolution demanding a 30-day ceasefire across Syria does not apply to its five-week-old military operation in Afrin against the Kurdish YPG militia, which Turkey says is a terrorist group. In strongly worded statements to two NATO allies, (allies?) Turkey’s foreign ministry spokesman said a U.S. State Department appeal that Turkey “go back and read” the ceasefire resolution was unfounded, and he also denied that Paris had told Ankara that the truce also applied to its Afrin campaign. On Monday French President Emmanuel Macron’s office said he had told Turkey’s President Tayyip Erdogan that the U.N. demand “applied to all of Syria, including Afrin, and should be implemented everywhere and by all without any delay”. Turkey’s Foreign Ministry spokesman Hami Aksoy challenged that account, saying Macron did not specifically mention Afrin in their telephone conversation about the ceasefire resolution. “Our reaction regarding the error of giving false information to the public was conveyed to French authorities,” Aksoy said. France and the US are clearly playing games with Turkey. There is not an “official” start date for this so called humanitarian ceasefire.. Never mind the fact that Afrin is not mentioned at all. So it seems odd for the US and France to make this demand. The French and American demands come immediately preceding the release of Saleh Muslim who was heading of to jihadi central in Finland. flashback :As Expected, Saleh Muslim, Released- Going to Finland- Not a surprise either! Not coincidental, of course. Muslim's release was definitely guaranteed via some sort of western intervention... Which wouldn't please Turkey. But then his release wasn't intended to keep Turkey happy. Perhaps it was a signal to the US's Kurdish allies? "If so, Western pressure on the Czech Republic will lead almost certainly to Muslim's release, indicating an embryonic, unspoken political alliance now existing between the Syrian Kurdish leadership and the West. If not, Muslim will remain in custody and possibly be extradited to Turkey. If this takes place, the Syrian Kurds will conclude that the West has used them as cannon fodder"
They have grand, grand plans. But (Syria) it is also gradually bolstering its presence in southern Syria, including in the Syrian Golan Heights. And accordingly, Israel is altering its deployment to prepare for what’s to come. Of course one could never be aware of that reality based on some very irrational headlines making the rounds. Such as this one: Science Confirms Antarctica is Screwed and So are We! Don't tell the people in the UK. Or the people in Rome who just got snow. We Don’t Want to Scare People But...It’s Cold, Very Cold. Snow. Wind. Remember the days when the cult of AGW, which rebranded itself to the cult of “Climate Change”, when AGW was a fail, told us all winter was a thing of the past. Snow will be just a distant memory... How wrong they were. Scientists have peered into one of the least-explored swaths of ocean on Earth, a vast region located off the coast of West Antarctica. It is locked beneath a crust of ice larger than Spain and more than 1,000 feet thick, making its waters perpetually dark—and extremely difficult for humans to access. Now, a team of researchers has bored a hole through the ice and sampled the ocean beneath it. This machine generated a powerful jet of hot water, which they used to melt two narrow holes, each a few inches across, more than 1,100 feet down to the bottom of the ice. They then lowered cameras and other instruments through the holes, into the waters below. In doing so, they hoped to answer a question of worldwide importance: just how secure is the ice of West Antarctica? "They found the ice was growing"
"Evidence that in this particular place, sea water is actually freezing onto the base of the ice instead of melting it." "The Ross Ice Shelf “has come and gone probably many times in the last million years,” says Scherer. It likely collapsed during a warm period 400,000 years ago. But he believes it could also have collapsed as recently as 120,000 years ago, the last time that temperatures were about as warm as they are today." And yet if temperatures were "about as warm as today", 120,000 years ago, why is the Ross Ice Shelf growing? Why hasn’t the Ross Ice Shelf Collapsed? Perhaps it’s not as warm as all the hype? Drilling more then 1100 feet down with hot water jet. A report by Popular Mechanics on the study mentions that the hole revealed two unexpected results. One the ice does not seem to be melting, but is freezing and two, the walls of the hole drilled with hot water, which would be really smooth if it was melting, had jagged icy crystals. "Based on a more than 500-foot-long ice core extracted from the thick sheet and containing a snowfall record dating back 2,000 years, the researchers found snow accumulation levels had been rising since around 1900. And the increase is most marked in recent decades, up through the year 2010"
As Expected, Saleh Muslim, Released- Going to Finland- Not a surprise either! 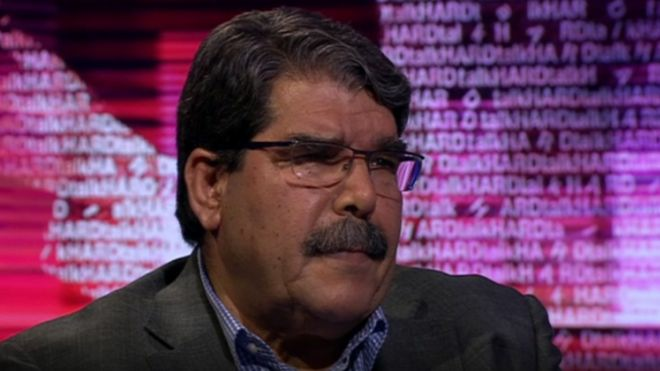 Former Syrian Kurdish PYD leader Saleh Muslim said on Tuesday he had been aware of a Turkish warrant for his arrest but did not take it seriously, calling the allegations against him false. Muslim was detained over the weekend in the Czech capital at the request of Turkey, which accuses him of disrupting the state and aggravated murder. A court released him on Tuesday despite Turkey’s call for his detention pending an extradition request. He didn't take it seriously because he is 'above the law'. And he knows it. Muslim, who pledged to the Czech court to remain in the European Union pending further proceedings, told reporters he had not decided where he would go next. He added he had permission for residency in EU member Finland. “The Czech Republic strongly rejects any accusation of support of international terrorism,” the ministry said, adding extradition proceedings have not been concluded by the court decision. Finland & ISIS go hand in hand. PKK/YPG & ISIS go hand in hand. Bearing those facts in mind, Saleh heading to Finland makes perfect sense. 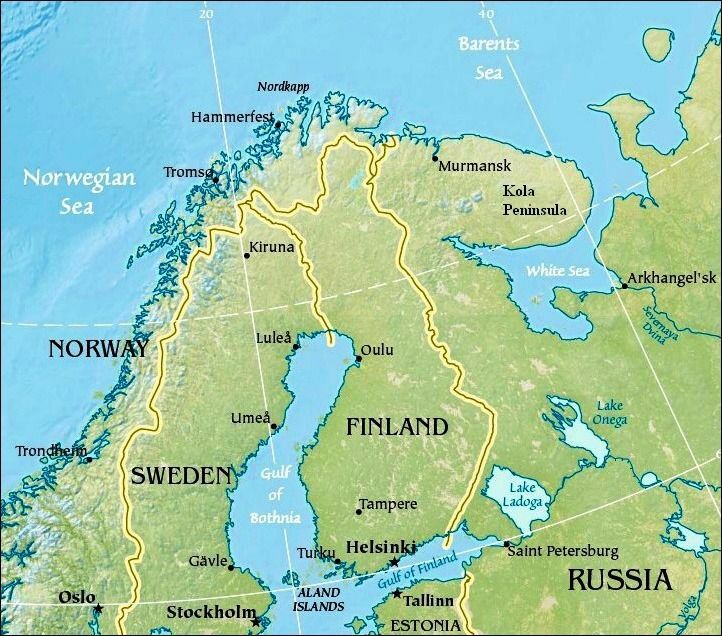 I've come across Finland and it's abundant links to terrorism more times then I can recount. In case your unaware I'll link to some additional information. "Special researcher Pekka Hiltunen from the Finnish Security Intelligence Service (Supo) says that the number of combatants who have left Finland in order to fight in the Syrian and Iraqi conflicts may be 10-20 percent larger than presumed"
Saleh Muslim, a former co-chair of the main Syrian-Kurdish movement, the Democratic Union Party (PYD), was arrested early on Sunday. The Turkish justice ministry said it has begun efforts to have Mr Muslim extradited. He has been indicted over a February 2016 bombing in Ankara that targeted a convoy of buses at the military headquarters during the evening rush hour, killing 37 people. "Upon finding the person in question was in the Czech Republic... it was demanded that he be captured and arrested to be extradited," the ministry said in a statement. Mr Muslim is to appear in Czech court on Tuesday- Let’s see if he is extradited or if some other party gets involved... Such as any of the many PKK affiliates in the EU? Generally leftists parties. Of which there are many. Or the US may block the extradition? Whichever? The Czech Republic has found itself in a diplomatic tug-of-war between Turkey and the main Syrian Kurdish political party PYD following the arrest of former PYD leader Saleh Muslim in Prague. Muslim was detained at the weekend on an Interpol warrant at Turkey’s behest. Turkey has requested his extradition, while the PYD has appealed for his release. The whole situation is further complicated by the fact that two Czechs - Markéta Všelichová and Miroslav Farkas are currently imprisoned in Turkey where they were sentenced to six years in jail for allegedly supporting the Kurdish militia YPG. This has inevitably raised speculation that the Czech side may want to discuss a possible exchange. Meanwhile, the case has attracted considerable international attention. German politician Tomas Pfluger, former MEP and member of The Left party has condemned the arrest and called for Germany to request Muslim’s extradition as well. Of course the leftist parties are involved. The self proclaimed leftists parties have this real thing for the PKK. Germany may request extradition? Doing the dirty work for the US? Or at the behest of so many influential PKK loyalists in Germany? If Germany extradites Saleh, he’ll go free. Dogan news agency reported that gendarmerie and police special forces had entered Afrin from two points in the northwest, and said they would take part in urban fighting and holding villages that Turkish forces had seized. Most of the larger towns in the region, including the town of Afrin itself, remain under YPG control. Turkey’s Gendarmerie Special Forces and Police Special Forces will take part in operations in residential areas as part of the ongoing Operation Olive Branch, Habertürk daily reported on Thursday. The forces who volunteered for the operation were trained at the commando school in Foça, a district in the Izmir province. The units are due to take part in Operation Olive Branch. According to information given to a cabinet meeting chaired by President Recep Tayyip Erdogan, Turkey’s absolute refusal was conveyed to U.S. officials, including Secretary of State Rex Tillerson, in talks last week. Turkey also dismissed as “childish” a U.S. offer to get forces of the Syrian Kurdish People’s Protection Units (YPG) to destroy the mainly Iraq-based Kurdistan Workers’ Party (PKK), saying that there is no difference between the YPG and the PKK. The PKK has been engaged in three decades of war against Turkey seeking autonomy for Kurds in the southeast of the country. 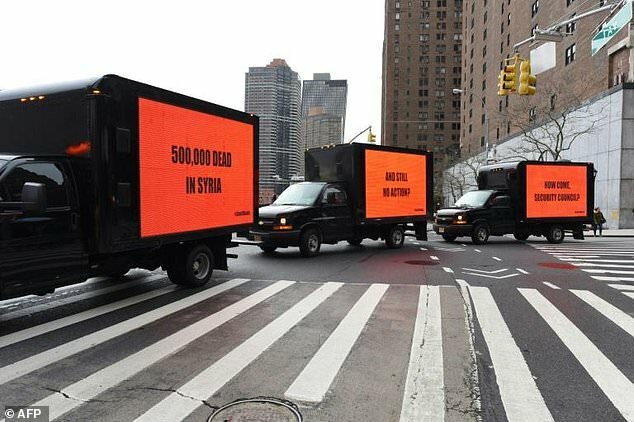 More than 40,000 people have died in the conflict. The messages conveyed to the U.S. officials also included Turkey’s demand that the United States removes the YPG from the northern Syrian town of Manbij and for it to restore the demographic composition of the region to that of before the start of the civil war. Manbij was, to my understanding, largely Arab. The brigade was formed by the Hamza Division, which is affiliated to the Free Syrian Army (FSA). The brigade includes 400 Kurdish fighters from Syria’s Azaz region, and 200 Arabs. “God willing, we will liberate our people in Afrin from PKK (Kurdistan Workers’ Party) oppression,” said Kurdish Commander Hassan Abdullah Kulli, Turkish state-run agency Anadolu reported. In a similar move, about 180 state-funded Kurdish village guards recently joined Turkey’s operation. Kurdish village guards are used by the Turkish state in operations against Kurdish militants in the country’s southeast. “Although the Kurdish Hawks Brigade is a special unit that would have a better understanding of the local culture, language and geography, it’s hard to estimate how many of them are really from this region and know its topography,” Salih Bicakci, a Middle East expert from Kadir Has University in Istanbul, told Arab News. When I’d saved this article yesterday the headline started out “We don’t want to scare you but- Snow, Strandings and Mobile Phone Outages. Different Headline Today- Same Winter Storm. Cripes Rome, Italy is covered in snow. Yes, Rome, Italy! And in case we've all forgotten: The climate always changes. Always has. Always will. As stated so many times. Where I live used to be under ice. Miles of ice. Then when the ice melted this was a great sea. The lakes remain as remnants of that sea. Climate changes. Which is why I employ the original hard sell brand of AGW. Here comes the extreme cold! The Met Office has put out a new warning as Storm Emma is set to hit the UK on Thursday and Friday, bringing heavy snow, blizzards and high winds. "The Portuguese met service @ipma_pt have named #StormEmma, bringing strong winds to the Portuguese coast on Wednesday. Emma may then bring strong winds and heavy snow to parts of the UK during Thursday and Friday," the Met Office tweeted. The effects of the storm could be felt throughout the weekend, and it is possible the Met Office will upgrade weather warnings to amber or even red. Power cuts are likely and other services, such as mobile phones, may be affected." Rail operators have warned passengers of potential disruption, with Greater Anglia cancelling some of its services in advance, and Transport for London (TfL) warned passengers to check ahead of their journeys as disruptions were possible on Underground and Overground services due to the low temperatures forecast. The cold snap began to creep in over the weekend, with temperatures of minus five degrees recorded in some parts of the country, which marked the lowest temperature in the week leading up to March 1, the first day of spring, since 1986. The wind chill, which could see parts of the UK feeling as cold as minus 15C (5F), rivals the temperatures forecast for parts of northern Norway and Iceland. Romans have awoken to a rare snowfall, after an Arctic storm passing over much of Europe dumped enough snow to force schools to close and public transport to reduce services. Rome's Mediterranean climate and proximity to the sea usually result in mild winters, such that restaurants often keep outdoor seating open even through the coldest months of the year. As a result, the Monday morning snowfall, though not huge in quantity, brought excited young Romans out for a rare snowball fight or walk in the slush. Walking in the snow. In Rome. Mayor Virginia Raggi signed an ordinance Sunday evening closing public schools as a precaution, and many private ones followed suit. Moscow is also feeling the freeze; temperatures in Russia have dropped to this winter's low despite the approaching spring. The Meteorological Office said on Monday the mercury in the Russian capital dropped to nearly minus 20 degrees Celsius (minus 4 degrees Fahrenheit) on Sunday night, the coldest night this winter. Like myself, those persons in Russia, UK and Italy should be feeling the warming effects of the sun's rays. The days are definitely much longer! Still cold, but, nothing extreme in my neck of the woods. Meteorologists are forecasting unusually low temperatures for early March. Roman Vilfand, chief of the Russian Meteorological Office, told the Interfax news agency that Muscovites should brace themselves for frosty weather in early March and could only "count on the warmth of the soul," not higher temperatures outside. Moscow earlier this month saw what has been described as the strongest snowfall on record when more than a month's average of snow fell on the city, turning streets and yards into snowdrifts. Apparently carbon does not equal heat? Though, I do know carbon = LIFE. Link "How did carbon-based life develop on Earth, given that most of the planet's carbon should have either boiled away in the planet's earliest days or become locked in Earth's core? Watching the planet breathe "Carbon is a building block of life on our planet"
"Understanding the carbon cycle is crucially important for many reasons. It provides us with energy, stored as fossil fuel. Carbon gases in the atmosphere help regulate Earth’s temperature and are essential to the growth of plants. Carbon passing from the atmosphere to the ocean supports photosynthesis of marine phytoplankton and the development of reefs. These processes and myriad others are all interwoven with Earth’s climate"
flashback- Where do Trees Get Their Mass ? Chlorine Attack in East Ghouta "Child Suffocates"
I don't know what, if anything, will come of this report.. Personally speaking, I'm expecting this news to be hyped as this new week begins. But always hope to be mistaken. We're heading into March. They're is Full Moon madness potential on the 1st of March. That Moon being the Worm Moon, I kid you not! Moon phases aside. I'm certain the US/Israel was not OK with the UN resolution that was passed yesterday. A child died and at least 13 other people suffered breathing difficulties after a suspected chemical attack on a besieged Syrian rebel enclave Sunday, a medic and a monitor said. The Britain-based Syrian Observatory for Human Rights said 14 civilians had suffered breathing difficulties after a regime warplane struck the village of Al-Shifuniyah in the Eastern Ghouta region. One child died and a woman was in a critical condition, said Rami Abdel Rahman, head of the Observatory which relies on multiple sources on the ground in Syria for its reports. Yaqub, a doctor who treated those affected, told AFP he suspected “chemical weapons, probably a chlorine gas attack”. “Most of the patients have chlorine odour from their clothes and their skin. Many have dyspnoea and skin and eye irritations,” he said in English. I was doing laundry today and my hands smelled a bit bleachy too. But, I washed them. Not to be heartless but these claims are a dime a dozen. Coming hot on the heels of the UN resolution, why now, if ever, would the Syrian army do this? It just doesn't ring true. Convenient. Timely. But not realistic. It's from an unnamed source- Which is problematic. However, if true, it's timely and could indicate that there is a wider agreement to push the USrael backed Kurdish militias east of the Euphrates.. A situation I've long believed and have stated here at the blog, could be tolerated by all parties concerned. A move that should not be confused or associated with peace, cessation of hostilities and the exit of Israel or the US. "Kurdish-led Syrian Democratic forces (SDF) have agreed on the transfer of control over the northeast city of Manbij in the Aleppo province to the Syrian army that will enter the city in the coming days, a Kurdish security source told Sputnik on Saturday. "The agreement was reached, under which the Syrian Arab Republic’s army will enter the city of Manbij, controlled by the SDF,” the source said"
UN, February 24. /TASS/. 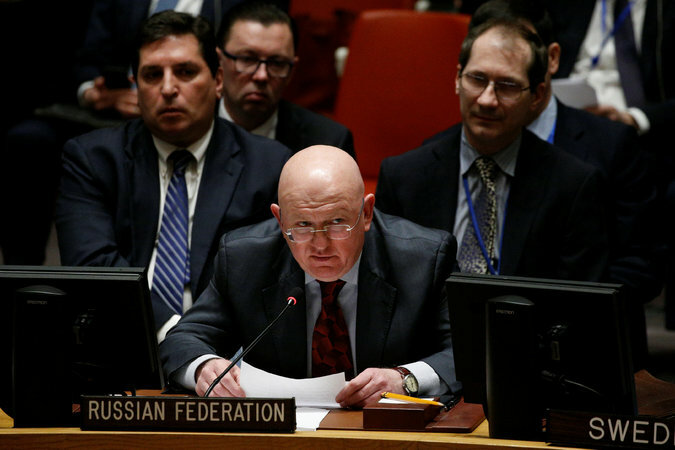 During negotiations on a UN Security Council resolution on ceasefire in Syria, Russia sought to prevent the document from becoming a pretext for military action in Syria, Russia’s UN envoy, Vasily Nebenzya, said on Saturday. "The reason why we negotiated for so long on this resolution is that we wanted to make sure that it is not used as a pretext for any military action," he said. "We heard some worried comments on that in recent days and including today, some of them very bellicose. And we said it clearly that we won’t let anyone to interpret this resolution as a pretext for military action," the Russian diplomat said. What might Vasily's statement suggest to us? If anyone interprets this resolution as a pretext for military action is Russia prepared to act? Ceasefire Syria: UN Vote Delayed, Again. I haven't covered it because it feels exactly like a replay of Aleppo, Syria. Which was covered extensively here. I'm following Afrin much more closely. "The U.N. Security Council has delayed a vote on a resolution demanding a 30-day humanitarian cease-fire across Syria in hopes of trying to close a gap over when a halt to fighting should take place. Kuwait's U.N. Ambassador Mansour Al-Otaiba is the current council president. He told reporters Friday evening that "we are so close," but there are still differences over the timing of a cease-fire. He said the council will meet at noon EST (1700 GMT) on Saturday. The resolution sponsored by Kuwait and Sweden calls for a cease-fire to take effect 72 hours after its adoption, followed immediately by access for humanitarian convoys and medical evacuation teams"
Should we expect an "occurence" in Ghouta overnight? A psyop perped by others intended to send a message or up the pressure exponentially? A week of insanity- How will it end? Afrin "Kurdish YPG militia says Syrian army must come help stop Turkey"
What's the Deal in Afrin? Loyalist PMU's to Ally with PKK/YPG? A new wave of bombs struck Syria's eastern Ghouta district unabated on Friday, witnesses said, ahead of a U.N. Security Council vote to demand a 30-day ceasefire to end one of the deadliest bombing campaigns of the war. As mentioned yesterday- The US has been flying out "prisoners" from Syrian territory annexed by their Kurdish proxies... Obviously these aren't prisoners. “A group that came from Shingal, Kobani, Manbij, they are all civilians, 1,200 civilians came at the border of Afrin, and immediately hit them from Azaz, and according to my information they were 8 injured, and there was a vehicle burned,” Cemil Sulaiman, a Kurdish official in Afrin told The Region. You would really have to be a complete moron to believe that civilians from as far away as Sinjar (Shingal) Iraq are going to head straight into a very hot war zone. Absurd to the nth degree! It's clear these were armed and ready to go fighters! And undoubtedly they'd wave Syrian flags as they entered the battle field for the psyop, the continuing psyop, of alleged Assad loyalists going to assist the annexing YPG/PKK. “This convoy of women, old-aged and activists were exposed to a direct aerial and artillery bombardment by the Turkish invasion army and its terrorist factions, resulting in many martyrs and wounded. The wounded civilians were moved to the hospitals in Afrin enclave for treatment,” the SDF said. What accuracy can be extracted from this absurd narrative? Manbij; you have US special forces embedded with Kurds. Are they part of this convoy? Are these our flag waving rebels too? The Hashd al Shaabi that works with PKK in Iraq? This is at a time when the Kurdistan Region, Iraqi Prime Minister Haider al-Abadi’s government and coalition forces have demanded that the PKK leave Shingal, but the group is still defying these requests. The question is: Why can’t or do the PKK not want to leave the territory controlled by the Peshmerga, but voluntarily leaves areas under Hashd al-Shaabi control. Sputnik: Turkey destroys "aid convoy" but was it? 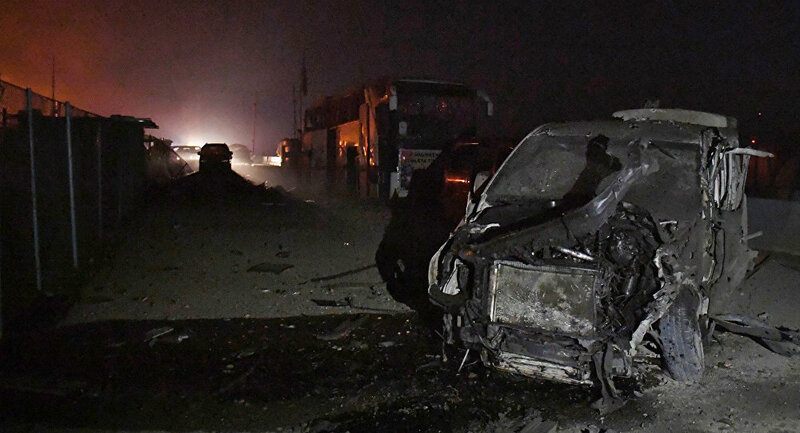 "One person was killed and seven others were injured as a result of the Turkish shelling of a humanitarian convoy and cars of residents going to Afrin in order to join the operation," the source said. "Only the convoy belonging to PKK/KCK/PYD-YPG and Daesh terrorist groups was targeted during the operation, and utmost importance was given to not harm any civilians," Anadolu, a Turkish news agency, quoted the country's General Staff as saying. Personally, I don't need anyone from Turkey telling me this was a convoy carrying fighters and arms. The report from The Region made it abundantly clear that this was indeed fighters heading for Afrin. I have difficulty understanding why some insist on presenting (false flag)YPG/PKK affilliates moving into Afrin as something good for Syria- I see it as a foot in the door desired by the USrael/UK, if Damascus is seen to be attacking a so called NATO ally. Not that NATO has much use for Turkey in it's present state. But as a convenient reason to attack Syria and overthrow Assad- this ruse is very useful to the 5 eyes tyranny. PKK/YPG desperately need reinforcements in Afrin as evidenced by their call for SAA to help- may as well give up a completely surrounded neighbourhood- to move fighters and hopefully hold onto the afrin border area- which further suggests they are being routed by the Turkish operation. Isn’t that exactly what I stated? It just made sense, ya know? The Kurdish People''s Protection Units (YPG) militias will deliver the Syrian Army in the next 48 hours the neighborhoods they control in the northern city of Aleppo, media reports said today. According to the Syrian State Television, the Kurdish forces will grant the armed body of this nation more than a dozen Aleppo areas, including the Sheik Maksud, Halak, Boustan Basha, Haidarieh and Ain Tal neighborhoods. Additionally YPG/PKK needed reinforcements so badly they were bringing them in from as far away as Iraq! By bus/car and with US assistance by helicopter. I'm still not convinced Assad is sending anybody. Events in Syria are so heavily muddied, by hyperbole and complete disinfo, it's been two or three of the most media crazy days I've noticed since 2011. When I began following the destruction of Syria as it began in earnest. Was saying to hubby- I've never seen the spin so thick and fast. And I've assuredly read through a whole pile of media lies these past nearly ten years. I suspect this entire area is going to get much worse. If that's even conceivable to all? 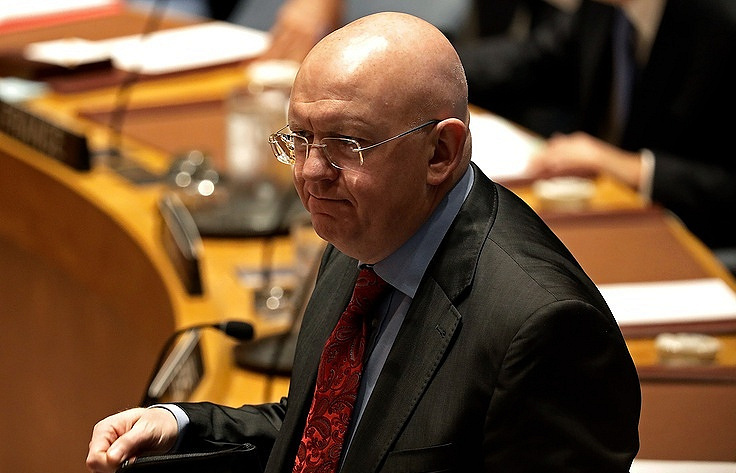 But Russia’s ambassador, Vasily A. Nebenzya, whose veto is the lone obstacle to the resolution, dismissed the reports as disinformation and propaganda. I just love that he used the words "massive psychosis"
The authors of the resolution on humanitarian issues in Syria, which is to be discussed at the UNSC meeting on Thursday evening, want to “shift the focus" from the peace process "to blaming the Syrian government in order to promote ‘plan B,’ namely overthrowing the regime in violation of resolution 2257,” Lavrov said at a news conference in Belgrade. Without intervention by law enforcement? Obviously this was a protest/psyop! Who got this together in short order? Some PR Firm. This news definitely suggests extensive occupation after worsening warfare. With an attempt to overthrow the government..
WASHINGTON — The Trump administration has decided that it needs no new legal authority from Congress to indefinitely keep American military forces deployed in Syria and Iraq, even in territory that has been cleared of Islamic State fighters, according to Pentagon and State Department officials. Gee the 5 eyes alt media told me that Turkey was supporting ISIS.? And that Turkey "controlled" ISIS? Well, That's obviously wrong. Since it's always been Usrael/Britain that have supported ISIS. Could these prisoners be the 'flag waving' militia members arriving in Afrin ? Smart money say's it so. I've got still more information regarding the false flag occurring in Afrin. "The source from the town of al-Hasakah (north-east part of Syria) has told Sputnik on the condition of anonymity that local people have witnessed US helicopters landing multiple times on the territory of the local prison, controlled by Kurds, a then leaving. If you've been following along with the situation in Afrin, as I have, you could be excused for already believing SAA had deployed to Afrin- It's clear they have not from this report! Quite frankly I can't say with certainty if anyone at all deployed to Afrin and if some person did deploy, who exactly they are. What seems pretty certain is Syrian Army has NOT deployed to the area. The YPG has called on Syrian President Bashar al-Assad’s government to send troops to the Afrin region in the northwest, and pro-Damascus militias arrived there late on Tuesday. Hundreds of those fighters have deployed on front lines in Afrin battling Turkish forces, Mahmoud said. I personally have serious questions regarding the very idea of loyalist militias being sent to Afrin. Waving a flag just doesn't cut it for me. A flag can be used like a prop. It can indicate loyalty or in the case of a false flag it can indicate deception. flashback Afrin False Flag ?? "But Assad did not send the army itself, a deployment that could have sparked a wider direct confrontation with the Syrian government if Turkey did not back down"
Ankara, a pro-Assad commander and Kurdish officials have all said recently that Russia intervened to stop Damascus sending the army to defend Afrin after reports of a deal with the Syrian Kurdish forces. Ankara (nom de guerre) a pro Assad Commander ? Odd name, no? For an alleged pro Assad/loyal to Syria commander? While Russia is Assad’s strongest ally in the war, it is also working with Turkey, which backs rebel factions, to negotiate a wider settlement to the conflict. Russia has made two offers to the Kurds in Afrin..
And several months back in 2017- The YPG/PKK wanted nothing to do with either offer, both the times they were offered- This is why I have extreme difficulty believing the narrative presented via the 5 eyes media. That and the fact that it takes plenty of time and energy to sort the wheat from the media chaff. Carnegie Europe: Marc Pierini is a visiting scholar at Carnegie Europe, where his research focuses on developments in the Middle East and Turkey from a European perspective. "Turkey’s foreign policy is dominated by a heated nationalist narrative, which in turn has triggered military operations in Syria. At the roots of these developments are several threats to Turkey—some very real, some perceived, others imagined—and the ways in which the political leadership uses them. But beyond the immediate horizon, littered with hard-to-digest news and a couple of unthinkable risks, lies a different set of issues on which Turkey has little leverage. The real world around Turkey is so complex—Iran, Israel, Russia, and the United States are waging battles out there—that it may warrant a sober look from Ankara. For now, Turkey faces many short-term hurdles. Turkey’s EU accession has in practice been blocked by Austria, Belgium, France, Germany, and the Netherlands. The European Parliament has just adopted a new resolution criticizing Turkey’s human rights record. A forthcoming review of EU financial support to Turkey will likely end up with a substantial downsizing of assistance. On March 26, the Bulgarian prime minister will host Turkey’s president and the presidents of the European Council and the European Commission in Varna, where the words of EU leaders are expected to be firm. In April, the commission’s latest progress report on Turkey is also expected to be very critical of the country’s rule of law situation. Then there are developments in New York. A U.S. court will issue its verdict in the Zarrab-Halkbank financial crimes case around mid-April. U.S. Treasury fines, thought to be in the billions of dollars, against Turkish state-run Halkbank for violating sanctions against Iran could follow. In addition, the Treasury Department’s Office of Foreign Assets Control could exclude the bank from operating in U.S. dollars if it were designated as a foreign sanctions evader. Closer to home, a fierce narrative is in train: the possibility of a direct conflict between Turkish and American forces in northern Syria. American think-tanks and media are abuzz with scenarios of a potential clash. A military confrontation between NATO’s two largest armies would cross into the realm of the previously unthinkable and, if an understanding is not negotiated, could prove irrecoverable. Diplomatic efforts are currently underway. Also unthinkable is the possibility of the Turkish navy disrupting again the Cypriot government’s offshore gas exploration. Whatever happens in Afrin, Manbij, Kobane, or off the coast of Cyprus, there is a much bigger game playing out around Turkey. The stakes in the Syria, especially its eventual post-war settlement, are immensely higher than the fate of ISIS, the creation (or not) of an autonomous Syrian Kurdish region in a post-war Syria, or the links between the PKK and the YPG. 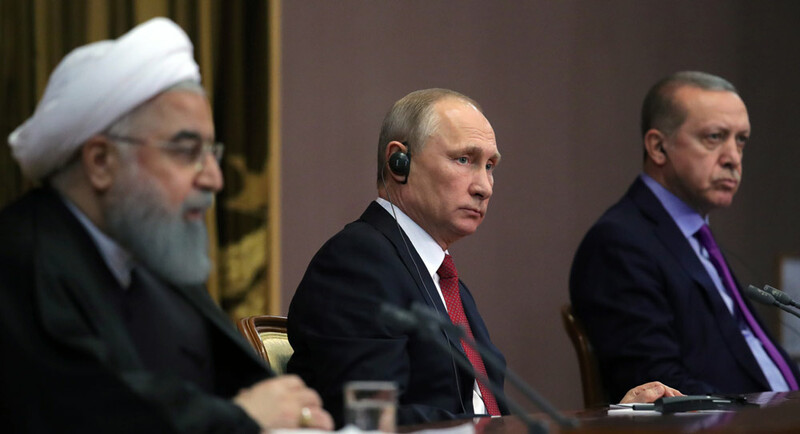 They revolve around two fundamental issues: the balance of power between Russia and the United States in the entire Middle East region; and the potential for war between Iran and Israel. In the seventy-three years since the end of World War II, the Middle East’s security landscape remained relatively unchanged: the United States was the dominant regional actor and Russia a relatively minor one. Israel was created in 1948 and consistently labelled an “enemy of Islam” by Iran since 1979—but the two never fought a war against each other. Since 2015, however, momentous changes have been engineered by Russia and Iran in the region, with Turkey’s help. By rescuing the Assad regime with Iranian support, Russia has drastically changed some of the key parameters of the post-World War II equation in the Middle East: for the first time ever, Moscow has set up a sizeable air force base in the region (in Khmeimin, an extension of Lattakia’s civilian airport in the Syrian coast); it opens and closes the skies of western Syria as it chooses; it is enlarging its naval resupply base within the commercial port of Tartus; and it has driven a diplomatic effort—supported by Iran and Turkey within the so-called “Astana peace process” and Sochi talks—to impose its brand of political settlement for Syria. Meanwhile, in the process of shoring up the Assad regime, Iran and Hezbollah have also set foot in western Syria. They have established bases and substantially upgraded their arsenals in the country to harass Israel, in particular by building small-scale factories to locally produce drones and missiles, thereby avoiding the hassle of air and sea transport from Iran. Recent incidents between Israel, Iran, and Syria are a testimony to this evolution. In the face of these developments, the United States is now holding about one third of Syrian territory north and east of the Euphrates River through a combination of proxy fighters—the Syrian Democratic Forces, led by the Syrian Kurdish YPG—and its own special forces. This, in essence, locks its position into future—and “real,” as opposed to the meetings in Astana and Sochi—negotiations about Syria’s future. At stake are the destruction of ISIS, the nature of the Syrian regime, local government composition, the right for foreign powers to maintain forces in the country, and ultimately—albeit indirectly—the security of Israel. For its own reasons, Turkey has chosen to lend a hand to this geopolitical reshuffle: diplomatically, by participating in the Astana and Sochi talks; financially, by sending money to Iran—to the tune of several billion dollars—through the fully-documented “Zarrab-Halkbank scheme;” and militarily, by issuing threats to U.S. troops in Syria in the hope of pushing them back. This bigger game playing out around Turkey is not made of somber conspiracies, as Ankara would like to convince its population. Rather, it is the theater of a massive transformation of the Middle East—to the benefit of Russia and Iran. It is as momentous as 1979 was for Tehran. The course that Turkish leaders will choose to follow in the Syrian war will have ominous, long-term consequences not only for their country but for the rest of the world, too"
A political or military act orchestrated in such a way that it appears to have been carried out by a party that is not in fact responsible. I do suspect that the PKK/YPG are attempting to and/or may have brought reinforcements into the area under false pretenses. As yours truly had stated yesterday I see no reason for anyone loyal to Syria to aid the annexing Kurds who are already supported fully by the US. The convoluted saga of Damascus aiding the YPG/PKK in Afrin continues to be presented as fact. Is it? I'm less then certain at this time. You may recall that the US wanted Turkey to stop their operation? U.S Wants Turkey to Restrain Their Operation in Syria Turkey has not complied. Tillerson then went to Turkey : Tillerson's Sweet Nothing's to Turkey. Israel & Syria. Lavrov insights Where he made offers he had NO intention of keeping. Turkey most likely made clear their intention to secure the border. Oh dear what is Usrael to do? Intent on balkanizing both Syria and Turkey. I mentioned a number of potential possibilities for this move over at syrian perspective.. I had also thought another possibility would be for YPG/PKK to allow PMU in to Afrin- stage a ‘chemical attack’ and count on the US and France to take action- which is another way of baiting Damascus with the same 3 point result I’d already mentioned. Also people have to realize all PMU's are "not the same"
Example, as mentioned this at Syper's, Sadr's militia in Iraq, is a PMU (Popular Mobilization Unit) with very obvious ties to the US. Sadr and his militia are coopted. The PMU(F) & Iraq’s Future: Deal With PKK in Kirkuk. Kurdistan Workers’ Party (PKK), in coordination with the Hashd al-Shaabi militia, deployed forces and arms in Daquq district, southern Kirkuk Province. There is a link contained within that post that reports at great length the differences between the myriad of militias. The stances recently taken by the Kurdistan Workers Party (PKK) in West, East and South Kurdistan point to a change, whether tactical or not, in PKK policy. One could say it is a turning from Russia and Assad towards the US. The US administration has publicly announced arms deliveries have now reached the Peoples’ Protection Units in Syria (YPG) which Washington knows is an extension of the PKK. A Shingal Protection Units (YBS) commander in Shingal, a group affiliated with the PKK, has revealed that they voluntarily handed over some Yezidi places to the Hashd al-Shaabi. Israel is loving the very idea of PMU's entering Afrin- There looking for any reason. Even presenting this as an Iranian move in Syria. False Flag............ a move that only benefits Usrael.